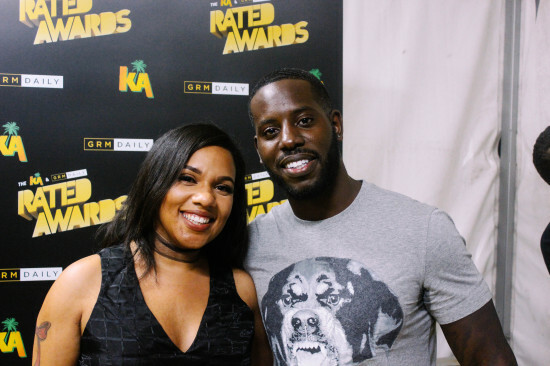 Last night GRM Daily X KA Drinks hosted the Rated Awards at The Roundhouse, Camden recognising UK Rap and Grime for the second year running hosted by Capital Xtra DJ Manny Norte & the beautiful BBC 1Xtra DJ Yasmin Evans. 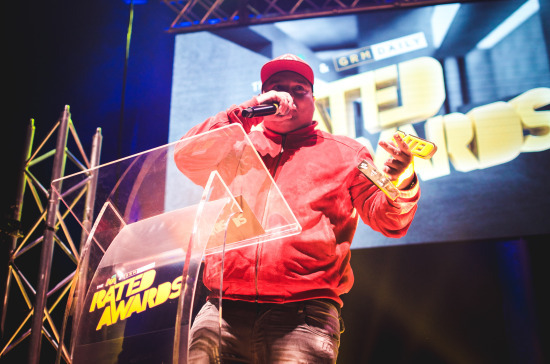 Awards of the night featured Best Personality, Best Artist, Best MixTape and the coveted GRM Legacy Award 2016 given out to the best Grime and hip hop talent in the UK. 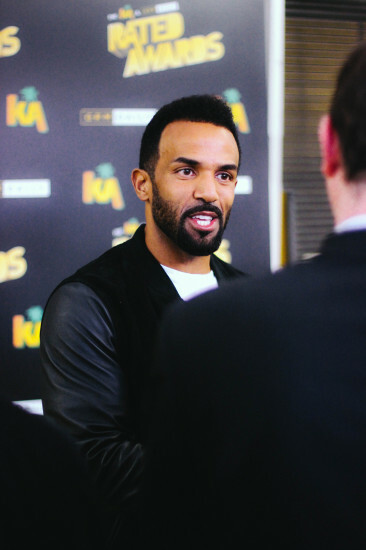 The evening started off with the red carpet, well yellow carpet, Trapped Magazine had the pleasure of interviewing the likes of Ghetts & Rude Kid, Giggs, Craig David, WSTRN, Actor Arnold Oceng and a host of other big named stars. 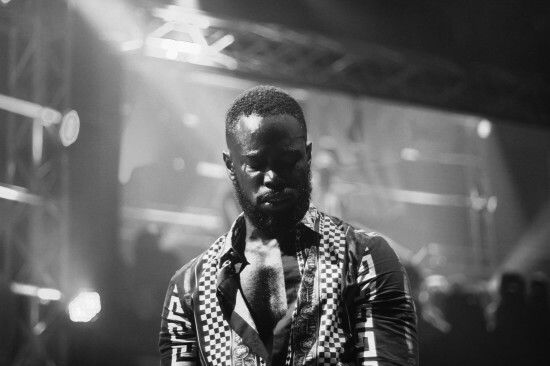 Rapper Mikill Pane kicked off the night with a rap about the London culture, raising important issues surrounding the Black Lives Matter movement cleverly inserted into his spoken rap planting the seed of awareness in the crowds mind. The crowd had just about digested what Mikill Pane had said when the ‘Party Hard’ rapper Donae’o took to the stage to perform his new single ‘My Circle’ we remember the days when we went to his Chocolate Party back in 2009! How we would kill for him to drop Party Hard again. Donae’o swiftly exited followed by Big Tobz who stormed the stage with Uno My Style, styling on everyone inside the place. The first award of the night was for Best Video; featuring the likes of Nines, Kano, Giggs, Skepta and Wretch 32 x Avelino. Personally this was a very tough decision as all of the artists nominated videos were off the hook. The award was given to none other than the man himself, Skepta for Man (Gang) video. Skepta’s speech was simple yet moving, thanking all the artists for keeping him on his toes and to work that extra bit harder. Also he said the award was for the whole scene not just him and that the UK needs to stay united and show only positive vibes. This was the motto of the night, an evening of good vibes celebrating the best of UK rap, hip hop and grime. Actor Arnold Oceng, who plays Henry in Brotherhood took to the stage with his red python skin bag and matching red jacket that he clearly pointed out to the crowd and stated that his money was “longer than Manny Norte’s hair” now that he’s a star, effortless banter, all he was doing was giving the ‘Get Rated Award’ to young upcoming rappers. Won by his good friend, Figure Flows. 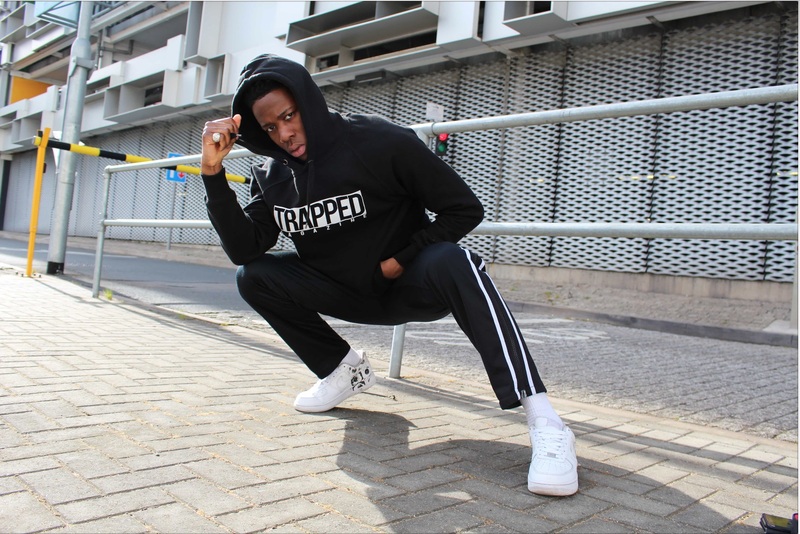 The lights suddenly went out and MoStack appeared out of nowhere with his new track ‘Liar Liar’ followed onto the stage by Fredo who just calmly picked up the mic and dropped ‘They Aint 100’ boy oh boy the crowd went mental, definitely 1 hunna per cent turn up. 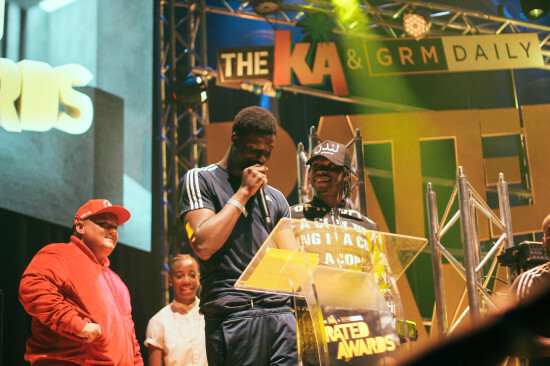 Like magic Abracadabra just glided onto the stage with Krept and Konan and dropped their Robbery Remix, which went on to win ‘Best Track’ in association with BBC 1Xtra. As soon as we heard “Man don’t talk man rob” we ran from the balcony to the floor seating, we couldn’t miss the energy that was present. Personality of The Year Award was won by none other than Poet & Vuj who deservedly won the award for their organic relationship, coming off the back of winning a Webby Award, biggest Youtube award in the industry. Man like Poet took to the stage in his Polo bath robe, something that we are used to seeing on his Fifa & Chill YouTube series and as per usual, gave us enough jokes by thanking Tinie Tempah for throwing them out of his party in Ibiza and stated that “This was the only time being mixed race was a problem”. 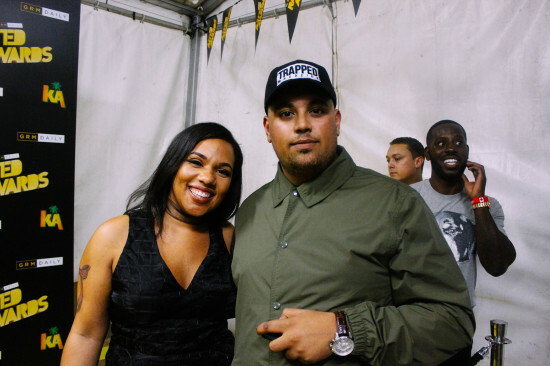 Brixton Hill Rap group 67 picked up Best Mixtape hosted by GRM’s Caroline SM and Geordie Shore’s Gaz Beadle. The speech was short, simply “Gang Gang Gang all of that. Thanks to everyone for the support”. Is the ‘Whiteboy” Beef gonna continue? Twin B then gave a moving speech about his good friend Richard Antwi who sadly passed away earlier this year leaving a legacy behind and touching numerous hearts in his life. The speech ended with a standing applause commemorating a key figure behind the scenes. The performances were hotting up, Ray Blk performed ‘My Hood’ making everyones hairs stand up on the back of their necks with her powerful voice engulfing the whole arena. Best Breakthrough was won by MTP’s finest AJ Tracey, presented by Prof. Green DJ Target. AJ T has stormed onto the scene over the past year, more recently participating in the #NewGen Mixtape project with the likes of Bonkaz, 6FigureMusic, Renz, Avelino and more. Coming soon. 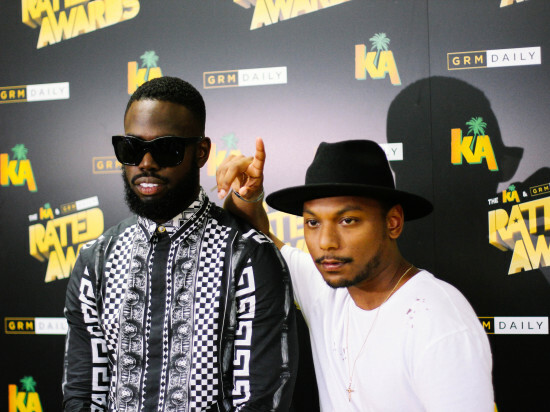 Rude Kid won producer of the year more recently for his 653 project with Ghetts. This was a highly contested category as all the producers nominated produced bangers of the year without a doubt. 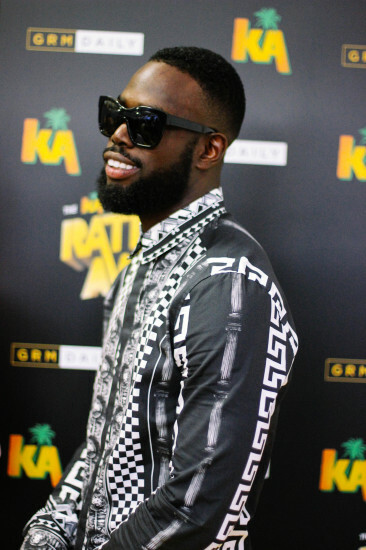 The award was “For the whole UK scene and for his brother Ghetts who is relentless”. 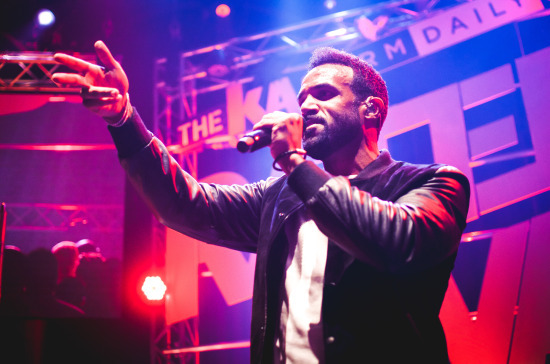 Just as the night was slowly coming to a close, Craig David hit the stage spitting his ‘Where are you now’ remix followed by a Preditah- Circles rap that no one expected. 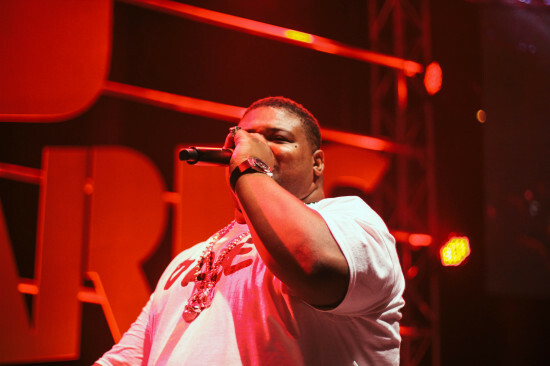 I know, we all knew what was coming next, Mr Gas himself, Big Narstie accompanied him with their single ‘When the baseline drops’ which was also nominated for Best Track. 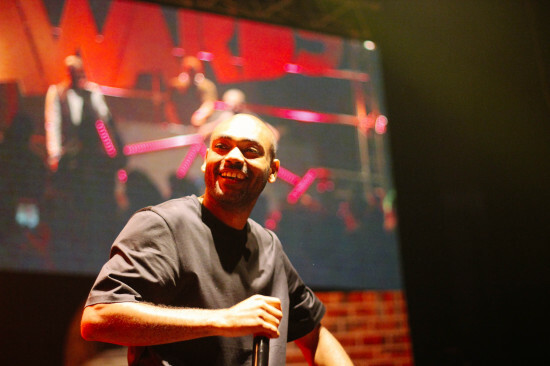 Best Album of The Year Award presented by Kyla and Naughty Boy, who promised Posty not to be naughty this year, was won by the legend, Kano for his ‘Made in the Manor’ Album which was his 7th album. 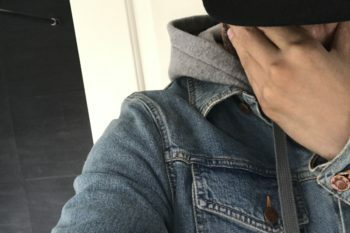 Once again, Kano thanked his peers, the fans for patiently waiting 6 years for his album and the other rappers in the scene for helping him progress and his management who stood by him throughout the years. 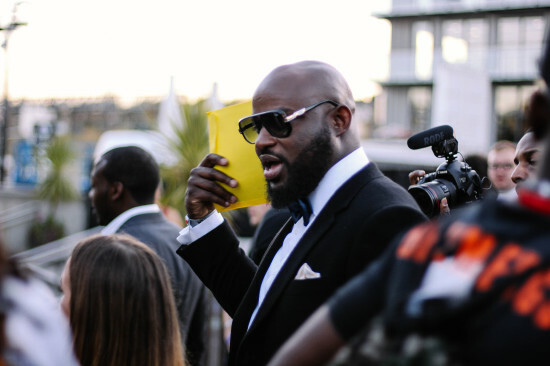 The landlord, Giggs won Artist of The Year which was presented through a cleverly recorded video by Idris Elba who was indoor sky diving leaving viewers scratching their heads as to what he was actually doing. 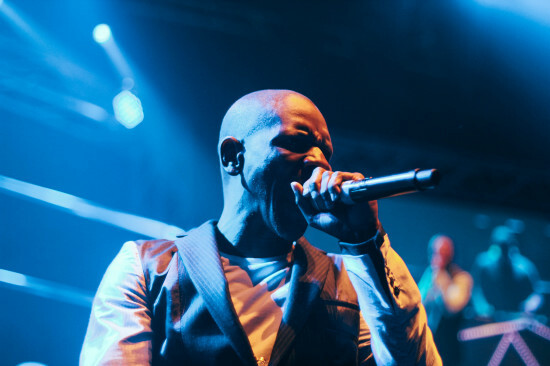 Soon all was revealed and Giggs took to the stage with a quick speech before coming back on to accompany Kano with their ‘3 Wheel Ups’ song. The lights went off again, all we could see and hear was a heartbeat, slowly going all the way up to 140 BPM and none other than Ghetts X RudeKid ran onto the stage spitting ‘You Dun Know Already’ and Ghetts doing a scarface moment, unbuttoning his shirt to let all hell break loose with straight fire, some questionable dance moves and getting the crowd to rap along to his ‘One Take’. Every time Ghetts takes the mic something happens to everyone, we all go wild like animals standing on chairs, bouncing around from side to side, who’s got a problem with that? 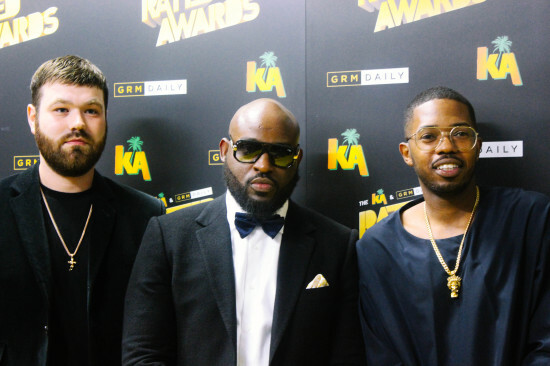 The last award of the night was for the coveted GRM Legacy Award 2016 awarded by Mr.GRM, Post Diddy to Tim Westwood, which started with a recap of Tim’s journey from day 1 to now. Westwood has well and truly cemented his position in the scene, and for his service and dedication from day 1. 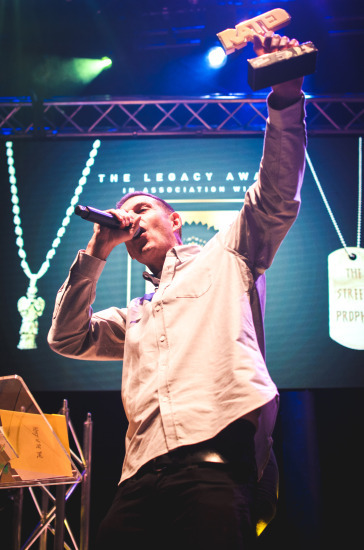 Westwood took the stage, using his famous words from last year’s awards “Don’t get gassed” before thanking GRM for hosting the night and awarding him with this prestigious award and stating that he is a “ The number 1 Legend in the game” and that he is “Never going to retire”. Just as we all thought it was the end of the awards ceremony, the landlord came to collect his rent from his tenants, and there was no ducking this time. 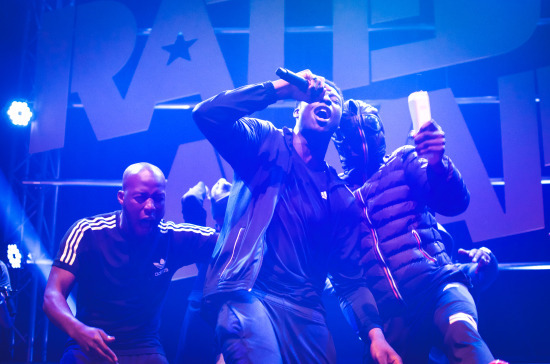 Giggs took us on a journey, through ‘The Blow Back’ , fans favourite ‘Lock Doh’ which had the ladies off their seats showing the mandem how to get down and last but not least, two wheel ups of ‘Whippin Excursion’ accompanied by the whole mandem. At this point we couldn’t miss this; we dashed to the front of the stage just in time for the best ‘Whippin Excursion’ dance from Skepta we’ve ever seen. Rated Awards 2016 was a success, a massive step from 2015. Last night marked an important moment for the whole urban music industry, and to show the rest of the scene we are united as one and are here to stay. Thank you to GRM, KA Drinks and Dawbell PR for inviting Trapped Magazine down to an amazing night. We can’t wait to see what’s in store for the future as well as the scene that is moving from strength to strength. 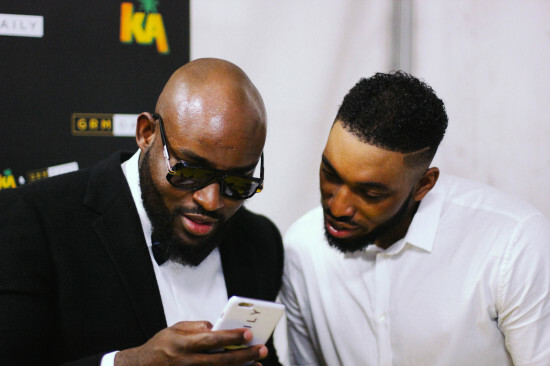 Be the first to comment on "GRM x KA Drinks RATED Awards 2016 – Exclusive Recap"